Ok, really this is almost everyday! 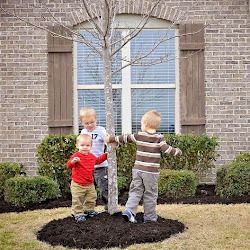 This is part of the "Hands On Play Challenge" I found through a favorite blog of mine, Praises of a Wife and Mommy. 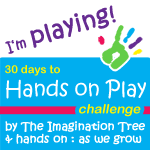 The idea of this challenge is to play WITH your kids with NO interruptions. To become more involved with them. To just have fun! And, fun - we definitely had a blast with this! Andrew, of course, LOVED this idea! Alex really was not sure about the whole thing until he saw his brother laughing uncontrollably in the tent. Only then did he realize that thing Mommy made really was cool. LOL. I hope my coolness lasts. Come on, it should last for a while. I did have basketball going on in the living room one day. We ended up playing for a long time! They woke up from their nap around 3-ish. We (mostly me, but Andrew helped a bit) made this and played long after Jason got home. I was trying to get the boys to quite so we could scare him when he got home, but Andrew and Alex were laughing and giggling like crazy! It was sooo funny! Ah, forts. I love forts! 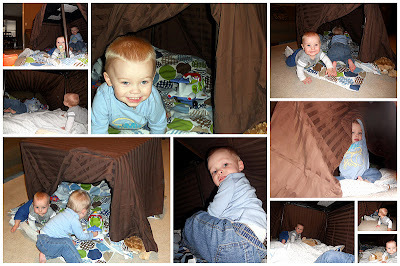 I remember when one of my brothers, James, and I built forts together. We had all these insane ideas. We would even beg to go to Lowe's or something just to imagine the amazing forts we could make with PVC pipes and all those other things that look awesome when you are 8 and 4 years old. LOL Good times.